Yes, working on the next release. Everybody agrees, I assume, with Eric Raymond that it’s best to release early and release often. What Eric doesn’t say is how to do that when you take over a large project like CinePaint that had never had a proper release before and has such a complex build system that even small changes can mean a whole day of building and testing. To make release early/often more feasible, changes are being made to simplify the CinePaint build system. Build all code using stricter C++ rules to try to catch more bugs at compile time. Fix build configure bugs reported in 1.0 to exist on distros other than Ubuntu. Fix version # bug reported in 1.0. Research libpng-1.5 bug reported in 1.0. Test with Valgrind for memory leak reported in 1.0. Test CinePaint on Lubuntu as in 1.0 and add testing for CentOS and FreeBSD. Remove ScriptFu and other interpreter plug-ins. Python and Perl are too difficult to support. Researching adding Squirrel or JavaSccript. Add a user registration dialog so we have a better idea who’s using CinePaint. The next CinePaint release is expected sometime before Christmas. Comments welcome. Photo courtesy of U.S. Navy. 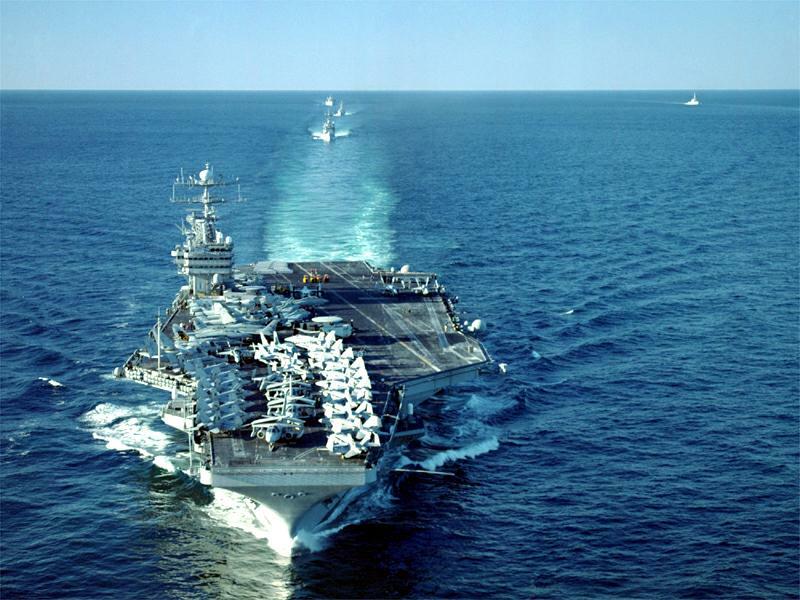 The Gulf of Oman, Dec. 30, 2000 — USS Abraham Lincoln (CVN-72) and her battle group sail in the waters of the Gulf of Oman after spending three months in the Persian Gulf in support of Operation Southern Watch. U.S Navy photo by Photographer’s Mate 2nd Class Gabriel Wilson (photo # 001230-N-0147W-002). Thank goodness! I thought this project was dead.